One topic raised consistently with regard to labour mobility is what happens in communities when migrants leave. Regardless of the benefits provided by remittance income and the skills learnt in new labour markets, there are concerns about what occurs back home. These questions are also relevant for the seasonal workers themselves who move back and forth between countries, coming and going from their communities and culture. One primary factor is how seasonal work can be gendered. For example, in 2013-14 and 2014-15, approximately 87 per cent of participants in Australia’s Seasonal Worker Program were male, which can have implications for families and local communities. 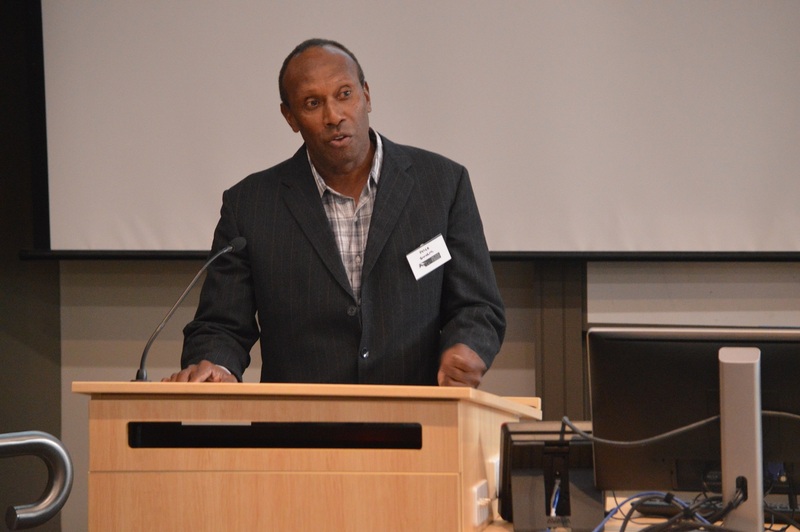 At the recent State of the Pacific 2016 conference hosted by the State, Society and Governance in Melanesia program at The Australian National University, Peter Bumseng spoke about his experience in the New Zealand Recognised Seasonal Employer (RSE) program. Peter was one of the original 45 people from Vanuatu who were sponsored in a pilot program by the World Bank to work in New Zealand in 2007. He has participated in the program every year since, and five years ago he and his wife established the Strengthening Seasonal Worker Family Program in Vanuatu. Do you enjoy being a seasonal worker? What made you think about a support program? “How can we help the families? It is not easy being away from your family. There are some issues and challenges. With the challenges we face, I started to come up with an idea about a Strengthening Seasonal Workers Family Program. I started with my wife, who is a teacher, and we started a voluntary program. “It’s not easy being away from your families, the climate, the food, the culture. We came up with this program to make sure that the boys enjoy working well and are taking the money back to their families, the community, so that everyone benefits. “It started with my wife who took the families once a month, just on social occasions, like taking a picnic. I found this was helpful in New Zealand, as when the men know their families are happy and being looked after, they perform to the best of their ability in a good working environment. “This is how we started and came up with some ideas and programs to look after the families. We know we can only move ahead if the process is right, if the families and communities are right. “We started to discuss running those programs in 2011. That was about five years ago. It’s really benefited not just the family but the community. As the years have gone by, there were challenges and issues. But I was just so interested to start at this, to protect, to make sure that this can keep running. Because we have competition as well. It’s not just the Ni-Van workers, but the other Pacific Islanders that work in New Zealand as well. What is the Strengthening Seasonal Worker Family Program? “We have support programs. We hold educational and spiritual workshops once a month. Another program is counselling, both in [Port] Vila and in New Zealand on the farms when issues can arise. For example, sometimes a man and his wife will not talk and discuss issues. We can encourage this with support and sort out issues. When the men come back home from New Zealand, they are included in the programs also. “We also arrange financial assistance and small loans. One experience was when Cyclone Pam hit [in March 2015], there was no communication. It was very hard for us but within three weeks, we were able to arrange some financial assistance so a family could be supported. Do you think programs like this would assist other communities? “I think we have something to say, to teach and to help other communities as well. The challenges that the other groups are facing are just the same as what our group is facing. It’s not just the seasonal workers in New Zealand. We’ve been talking to some of the families that are working here in Australia also. Henry Sherrell is a Research Officer at the Development Policy Centre, focusing on labour mobility. You can listen to Peter’s presentation, and the entire Pacific Labour Mobility panel discussion from State of the Pacific 2016, at the SSGM website.